We invite you to join us Saturday, February 23, 2019, 6-11pm, at the Madison Hotel, Morristown, New Jersey. Every year, the IACI commemorates this unique historical moment with the Washington’s St. Patrick’s Day Ball, fittingly held within a stone’s throw of Washington’s Headquarters National Park in Morristown. The Washington's St. Patrick's Day Ball is an annual gala to benefit the established educational, arts, and cultural programming of the Irish American Cultural Institute (IACI). The evening is a blend of history, pageantry, music, and dance. The evening begins with a cocktail reception and a traditional bagpiper leads the transition from the cocktail hour to the ball room. The Ball commences with a re-enactment of George Washington’s 1780 St. Patrick's Day proclamation. Dinner is served and attendees will enjoy dancing to the music of an Irish-American band providing the perfect blend of Irish traditional jigs and reels and American rock and roll. The Washington’s St. Patrick Day Ball is one of the IACI’s most successful fundraising events and provides vital support to the programs and initiatives of the Institute. This year, there will be two awards - The Annie Moore Award is bestowed on an individual who has made significant contributions to the Irish and/or Irish American community and legacy. The Annie Moore Award is named for the first immigrant to be processed at Ellis Island. The award is bestowed to an individual who has demonstrated a commitment of excellence through business, commerce, education or the arts. The second, the Eoin McKiernan Award, was established and named for the Founder of the Irish American Cultural Institute. Dr. Mc Kiernan devoted his life to, and set the standard for, Irish studies. His achievements in and contributions to the world of Irish studies and Irish culture were immeasurable. The award is given to honor and recognize an individual who exemplifies those ideals, and whose achievements have made an impact on these cultures. The 2019 Annie Moore Award will be presented to John J. Murphy. 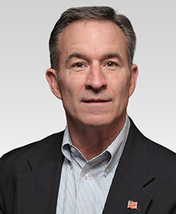 Mr. Murphy is a partner with the Private Advisor Group, a financial planning and investment firm headquartered in Morristown, NJ. He also serves as a commissioner on the NJ Board of Elections. John served five three year terms on the Morris County Board of Freeholders and two terms as Freehold Director. He was the board’s liaison to the Dept. of Administration and Finance, Dept. of Economic Development, Dept. of Law and public Safety and Dept. of Human Services. He served five years on the Morris Township governing body and was Mayor of Morris Township in 1996 and 97. He ran for the Republican nomination for governor of NJ in 2005. The 2019 Eoin McKiernan Award will be presented to Henry McNally. Henry McNally is semi-retired, following a career of 40+ years in education: 35 years at the secondary level in New Jersey, retiring as a High School Principal; 5 at the collegiate level teaching Education and Irish History at Marist College in New York. Before relocating to the Jersey Shore area, he taught Irish History in the Bergen County Community College Adult Learning Program, introducing literally thousands to the joys of his Irish heritage. Presently, Mr. McNally is teaching in the Irish Studies Program at Brookdale Community College in Lincroft, New Jersey and at the Osher Life-Long Learning Institute of Rutgers University; he is also a much sought-after lecturer among Irish organizations in the shore area. Mr. McNally holds Bachelor’s and Master’s Degrees from Fordham University and a Master’s Degree from William Paterson University as well as a Certificate in Irish Studies from University College, Galway. He is a first generation Irish-American, both parents born in County Armagh. He has travelled often to Ireland, visited each of the 32 Counties, and spent a sabbatical year living in Tipperary, while working part time in a training program for delinquent youth in Cork City. During that year, he was instrumental in the introduction of Ireland’s first drug and alcohol treatment program focusing on teenagers. Mr. McNally is also a 1993 recipient of a Geraldine Dodge Foundation grant for study of “Conflict Resolution” in Belfast, Northern Ireland. Across the last 25 years, Mr. McNally has conducted more than 15 educational and cultural tours of Ireland. In March of 2016, he led a group of 75 on a Centennial Tour, commemorating the Easter Rising and leading a “Diaspora March” on Easter Saturday from Dublin’s Liberty Hall to St. Stephen’s Green. He and 45 others are recently returned from Ag Cuimhniú Ar Na Mná, a “Remembering the Women” Tour, addressing the under-recognized role of women in Irish History and Culture. 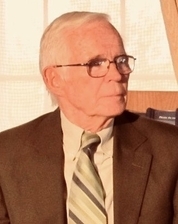 Henry McNally resides in Manasquan, New Jersey with his wife of 48 years, the former Kathleen Mangan, second generation Irish American by virtue of all four grandparents. He is the father of Kathleen and Eileen, who remember fondly their year in a Tipperary Convent School and the grandfather of four. In a personal effort to enjoy the culture and carry on the tradition, the larger family spent much of a recent August in County Kerry on the Dingle Peninsula. In the midst of the American Revolution, General George Washington issued an official proclamation in recognition of St. Patrick’s Day. In honor of the high percentage of Irish-born and Irish-American troops under his command, the proclamation declared March 17, 1780 a holiday for the Continental Army stationed in Morristown, New Jersey. It was the first holiday granted to the troops in two years. General Washington awarded this holiday “as an act of solidarity with the Irish in their fight for independence". People from Ireland were the largest single group to arrive in the thirteen colonies in the seventy-five years leading up to the American Revolution. Having fled an oppressive system at home, these immigrants needed little persuasion to enlist in the cause of American liberty. Many people of Irish ancestry, therefore, are to be found among the officers and leaders of the rebellion. Sources claim anywhere from 35% -66% of the colonial forces were Irish. • Fedanus Burke, one of the most notable figures in revolutionary South Carolina. Thus, the Irish were an integral part in the fight against the British during the American War of Independence. They are rarely recognized for their contributions. Includes seating for table of 10 and special recognition at the event. Includes cocktail reception, dinner, open bar and entertainment. Gala Sponsor: $10,000 - Two Available. Includes premier seating for table of 10, special recognition on all press releases and at the event, outside back cover ad in the Dinner Journal. Entertainment Sponsor: $5000 - Includes a Silver Page ad in the Dinner Journal. Invitation Sponsor: $2500 - Includes a Silver Page ad in the Dinner Journal. Centerpiece Sponsor: $1000 - Includes a B&W ad in the Dinner Journal. In addition, all sponsors receive the following: recognition in evening program, company logo on sponsor signage at event, recognition in Eire-Ireland, logo prominently placed on IACI website for one year, recognition in IACI e-news. Show your support for the IACI and the 2017 Annie Moore Award recipient with an advertisement or congratulatory message in the Dinner Journal. All verbiage/ graphics are black & white. Full page size is 4.25 X 7 . Ads should be submitted in jpeg or PDF format to cbuck@iaci-usa.org. Deadline for receipt of ad copy is February 5, 2018.